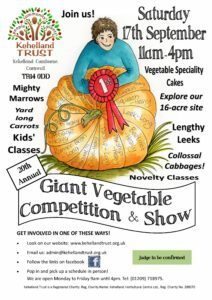 Please come along and support the 20th Giant Veg Show. Seeing is believing! Great day out for all the family and lots of vegetable-based cakes and refreshments on offer throughout the day. If you would like to participate, please click on the link below to access and entry schedule.